May 6, 2010 Adri H.
Some really lovely yarn finally arrived after... nearly a month! I think the Icelandic volcano in conjunction with the customs here in Germany probably added to the length of the journey. But it's here now, and I have plans for it... 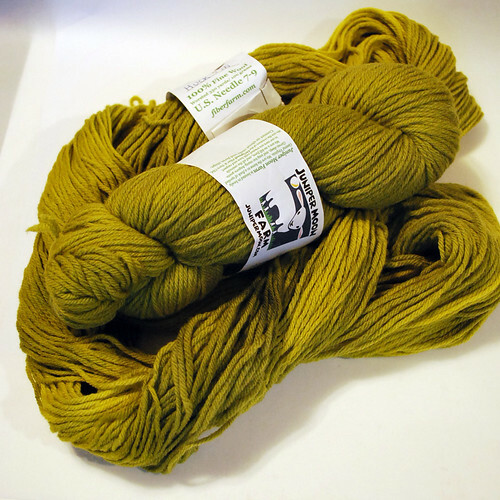 It's smooshy and has a really vivid green hue to it. It reminds me of newly sprouted leaves... my favorite green. 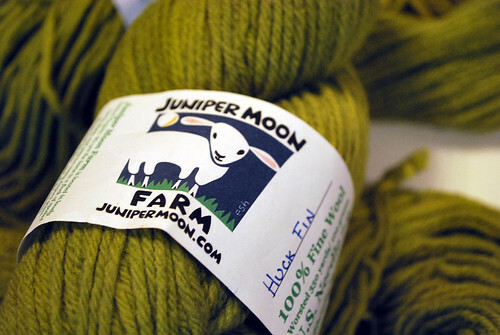 Pretty 100% Fine Wool yarn in "Huck Finn" from Juniper Moon Farm.